For the September meeting of City Lit's Weird & Wonderful club, we discussed "The Bone Clocks" by David Mitchell. 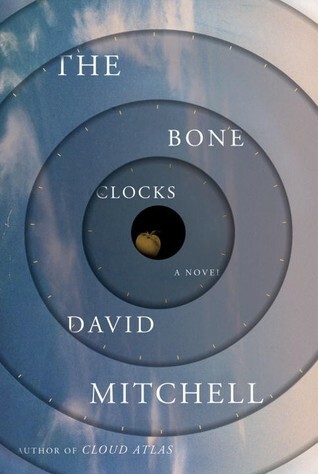 Like some of Mitchell's other works, "The Bone Clocks" mixes genres a bit. It orbits around the character of Holly Sykes over basically her whole life, with long jumps to other characters' viewpoints. Holly is kind of mildly caught up in a war between two different kinds of immortals; the novel's latter chapters also bring us to a climate-change-induced semi-apocalypse. Y'know what, I'm just going to get the editorializing out of the way first. I actually have a hard time laying out a final opinion on this book, mainly because Mitchell is a very good writer, technically. The sarcastic sense of that is not lost on me, but I mean it—sentence by sentence, he's really good. He's also clearly very smart and considered—one gets the strong sense that he writes according to a formal plan. However, the novel walks this perilously thin line between "pleasingly clever" and "self-congratulatingly clever", and, by my reading, more frequently slips into the latter. I am a big fan of self-conscious, self-criticizing authors, but Mitchell often rubs me the wrong way for some reason. But here's my main issue, and then I'll get to our discussion notes: Mitchell doesn't seem to particularly *like* or *care about* the fantastic or science fictional elements of his own work, which makes me suspicious of the whole project. It's as though he had an abstract challenge—"I dare you to mash up a semi-sentimental character study with an outlandish supernatural plot"—and so he just kind of staples-on the supernatural bits. The result is a novel that is *considerably* less than the sum of its parts, in my humble opinion. The stories of Holly, Ed, Hershey & the rest could be compelling on their own; the Horologists' & Anchorites' sections are, frankly, garbage. One spends the "mundane" sections waiting (for hundreds of pages) for the fantastic world to be explored (because magical world-altering immortals walking among us seems like something that might be a big deal), and then one spends the "fantastic" sections appalled at how bad Mitchell is at this (his terminology, his world-building) and with the feeling that he has, perhaps subconsciously, a kind of disdain for this kind of storytelling, so you just want to get back to the mundane storyline. By the way, I recommend Max Gladstone's thoughts on the book, as I think he's engaging some of the gripes I had from a different and more charitable angle. Like Gladstone, I was also reading this as a kind of anti-fantasy—a current obsession—and just find it sort of wildly disappointing compared to something like Mieville's "The City and the City", despite or maybe even because Mitchell's such a good writer—it makes his lack of speculative chops all the more painful. Alright, enough with my onions. We had a great discussion, with a lot of the group having similar reactions of really liking many parts of the book without quite knowing what to say about the whole. Which chapters we liked most/didn't like most, with a lot variation. Our feelings towards Ed's chapter were kind of a microcosm of our engagement with the book: it's so good, but why is it here? It kind of feels like Mitchell just putting up his dukes like "all right, I can write a thing about the war!" We also debated, here and elsewhere, if and when the sentimentality goes to far—Ed's breakdown, "yes I am an adrenaline addict or whatever" seemed a bit forced. We really liked Hugo's character, or perhaps better to say we found it aesthetically satisfying, because he's a bit sympathetic even if we do find him villainous. 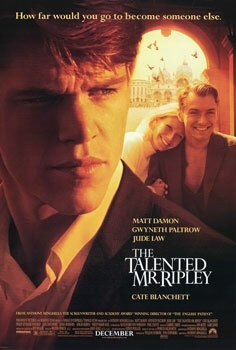 Many comparisons made to "The Talented Mr. Ripley". We were particularly appalled by the stamp theft. We liked some of the cultural references—Bieber's wedding, a line about Ballard's "Hi-Rise" (a recent W&W read). Lots of discussion about the portrayal of time's passage, wondering why exactly Mitchell choose these sections to focus on—major events like Ed's death happening completely off-camera, and so far away from represented sections that it's very blunted. Talks about the ties to Mitchell's other novels—he's doing this kind of meta-project where a lot of his fiction has these minor overlaps. Compared to some of Faulkner's or even Bret Easton Ellis's work. The Second Mission described succinctly as "An entire chapter of Chekhov's gun". We found Holly's premonition about Hershey's death incredibly dumb. I was pleased that I wasn't the only one distracted by the HORRIBLE terminology—"psychvoltage, Suasioned, the Endarkenment" etc. The Anchorites' racism worked, but felt a little "in case you weren't sure these were the bad guys". Lots of little touches with Holly's character that we thought were very well done. Lots of discussion, and also confusion, on the mechanics of the Anchorites & Horologists. We noted that there could have been a lot more investigation of, uh, any aspect of the human condition as experienced by the Horologists. Also that it's a little lame that the surviving Horologists decide to start using their powers for public good only after civilization has hit the fan. Travis brought up Jo Walton's essay (which I can't for the life of me find) on non-genre writers "dipping their toes in" and using speculative elements in their work, how that can often go awry. Thinking back over Weird & Wonderful selections, it is interesting to note the kind of stumbling points of books like "The Humans" or "The Crane Wife" that are less failures of general writing ability than of the specific techniques that SF/F writers have created over a long period of time. And it's interesting to contrast writers who aren't "in" genre fiction, but are conversant in its techniques and so can deploy them better—Michael Chabon springs to mind, and in discussing Mitchell I was also thinking about Murakami. There's something about "Hard-Boiled Wonderland and the End of the World" that works for me more than "The Bone Clocks" purely because Murakami is embracing the weirdness of his tale. By contrast, Mitchell's embrace of the fantastic feels like one of those hugs where you keep your hips as far away from the other person as possible. Anyway! Apologies for all the opining. This was definitely an interesting book to read and discuss and think about, especially if you find genre arguments intellectually arousing. Next time! Weird & Wonderful is discussing "Dirk Gently's Holistic Detective Agency" by the late great Douglas Adams. Many more awesome events at City Lit, check it out!